A little progress on these babies …. Plugging away at my commissions … hoping to get those done as school is almost starting! Wheeee! Next Post: Finally back … and making some changes to how I sell things! 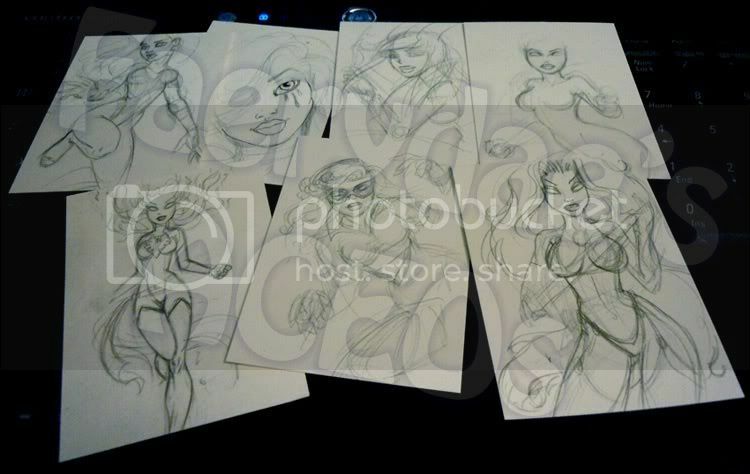 Previose Post: Superheroes, Supervillains, Fairies & Mermaids Sketch Card ACEOs on eBay!